what a pain in the arss . one more bolt and I could remove the motor . which BTW is no treat .glad I waited till winter to do this trick . What kind of issues were you having with the shifting shaft? And do you have any photos of this while it's under operation? I wanted to dig that Big Bore Kit I have out, stored away and install it on my black one this winter. Unfortunately I don't have the room oh, now that I have to store my trailer in the garage. I may be able to try it on top of the trailer but I'm not sure, due to low headroom. I have changed 5 of them and on my 4th gearbox. Also in a previous life , I was "Baxter" long story , computer issues etc . easier to open new account . I have one complete transmission left and fitted a TRX450r Rekluse clutch kit. This is hopefully a cure . yeah I all ready have one on hand for the next time . 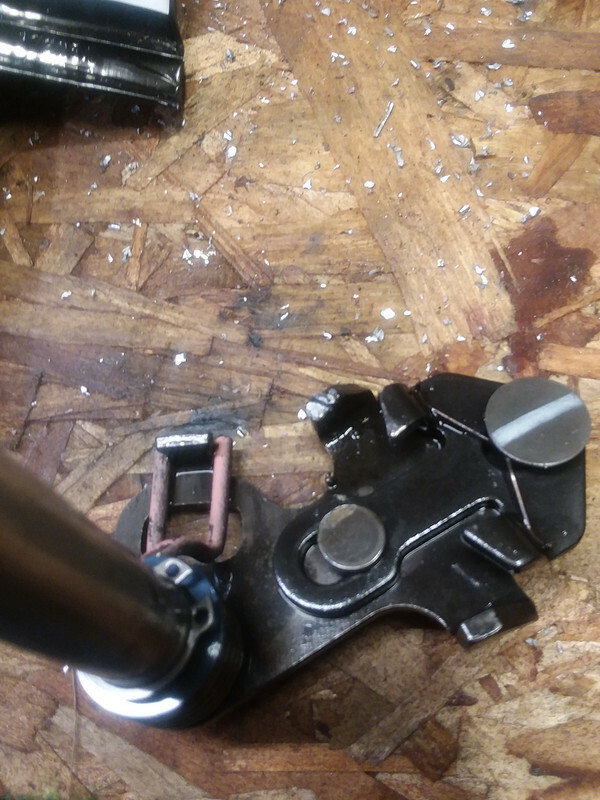 OK , what are you doing to screwup a gearbox ? ?? Says account opened Oct. 2009 ?? Last edited by M_Quick; 01-02-2019 at 10:02 AM.